The ARS “Mayr” Hollywood Chapter was founded in 1918 in Los Angeles, California. It was named “Mayr” as a mother chapter in Southern California. During the second decade, the chapter was reorganized led by Ovsanna Hagopian, Ananian sisters, Yester Maghigian, Rose Santourjian, Mary Manougian, Isgouhi Apelian and others. During the 1949, the chapter donated $10,000 (or $96,500 in 2012 dollars) to establish an Armenian Center on Venice Boulevard. The Venice center was eventually sold. Next, the chapter moved to a center on Vermont Avenue, which was then converted to the Asbarez Newspaper-Horizon TV station. In 2009, the chapter moved to a new center near the Alex Pilibos School School at 1559 N. Kenmore Avenue in Los Angeles. Following the second world war, by 1950, the chapter had signed off on 100 affidavits to allow the displaced persons (DPs) from Armenian-populated camps in Germany to move to the United States. The “Mayr” Chapter became the impetus for the establishment of a couple of other chapters in the area: the Anahid Chapter in San Fernando Valley in 1958, and the Ani Chapter in Montebello in 1960. Saturday School: The Saturday School classes, which were originally held at the Venice Center, move to the Ramona School, a public school. In 1969, when the Rose and Alex Pilibos School was established, the Saturday School stopped operating. In 1973, the school was reopened at the Pilibos School facilities. Social Services: The chapter members used to assist newcomers on an informal basis. The chapter was instrumental in establishing ARS social services offices in 1980, and housing the Hollywood office at the Armenian Center on Vermont St., where it continues to operate today (although the chapter offices moved). Preschool: The ARS Postoyan Preschool was established in December 1992, under the auspices of the ARS Mayr Chapter across the street from Rose and Alex Pilibos School, next to the St. Garabet Church. 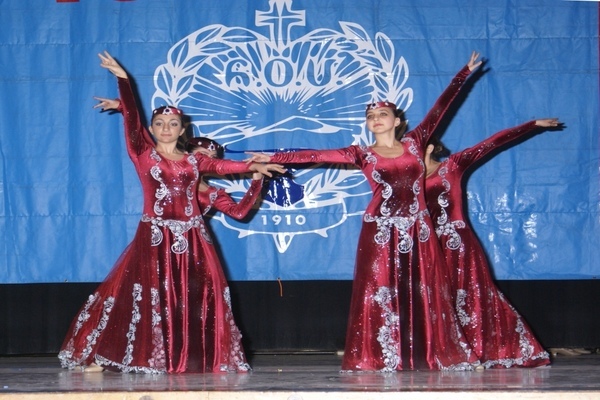 Sister Chapter: In 1993, the chapter became a sister chapter to the Agnouni Chapter in Yerevan Armenia. Chapter members traveled to Yerevan to meet with the sister chapter members in July 1994, headed by then chapter chair Haygouhi Seropian. The sister chapter program was discontinued. The chapter continues a long tradition, which now spans a few years shy of a centennial. 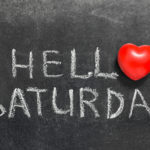 School Schedule: Every Saturday, Hours: 10:00 a.m. – 1:00 p.m. Registration & Back to School: Saturday, September 10, 2016; Hours: 10:00 a.m. – 1:00 p.m.
School Schedule: Every Saturday; Hours: 10:00 a.m. – 1:00 p.m.